Why renovate your home in order to just turn around and sell it to someone else who can enjoy your labor? Depending on your budget and your needs, it may make more sense to renovate your current home than move into a new one. Not everyone is fooled by the idea that the grass is always greener on the other side. Given the option to make changes to their home or opt for a new one, 76 percent of Americans would rather renovate than use their savings for a down payment, according to real estate information company Zillow’s annual Housing Aspirations Report. And it’s no question that homeowners are taking advantage of the option to renovate. In 2017, 58 percent of homeowners renovated their homes with a median renovation cost of $15,000, according the 2018 Houzz & Home study of annual renovation trends. Renovating is often seen as the only way to get everything you want in a house, from the ideal kitchen setup to the spacious closets you covet. This idea is reiterated in popular HGTV shows like “Property Brothers” and “Love It or List It,” which stress the emotional and monetary value behind a remodel. If you’re trying to decide whether to renovate or sell, here are seven reasons to consider renovating rather than buying a new home. You can enjoy the updates. When you prepare your home for sale, your real estate agent may recommend updates — from minor fixes to a major overhaul — that will help increase your home’s value. But rather than making updates just before putting your house on the market in hopes of boosting your return on investment, consider renovating now to improve your own quality of life at home. You’re emotionally attached. How can you possibly sell the house you raised your kids in when the lines showing their heights at different ages are still in the kitchen doorway and you can still picture them taking their first steps across the living room floor? Sometimes the memories are too good to leave, at least for now. In this case, it may be better to remodel a couple rooms than reluctantly sell your home. “Whether you and your house have been through some trauma together and you’re kind of bonded now or you just truly love the place, you are emotionally attached. It’s not just financial,” says Zillow senior economist Skylar Olsen. You have the money to renovate. 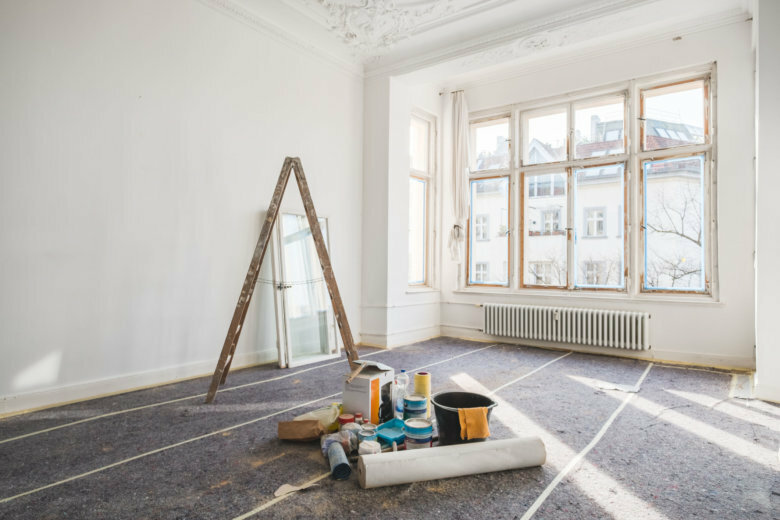 If you have enough cash in the bank to fund your planned renovations without having to take out a loan, you don’t have to be concerned about higher monthly payments or rising interest rates. For older homeowners who have ample savings, an improved home with no additional debt is all the more enticing. Zillow’s report found that not only do three-quarters of the 10,000 respondents plan for renovations rather than making a down payment, but the preference to renovate over moving gets stronger with age, as homeowners are more likely to have greater equity in their homes and more savings in the bank. Eighty-seven percent of people over 55 and 91 percent of retirees prefer using their money to renovate rather than buy. You’re making the property safer. Whether you recently purchased your fixer-upper or you’ve lived there a couple decades, it may be time to overhaul some dated systems and ensure your home is keeping you safe and healthy. Consider having professionals check for old electrical wiring, dated heating systems and moist areas that may invite mold. Before you spend money renovating for cosmetic reasons, “absolutely the No. 1 thing that people should be focused on is maintenance and repair,” says Kevin Busch, vice president of operations for Mr. Handyman, part of the Neighborly network of home service providers. You skip the cost of moving. Moving is expensive when you factor in the cost to make updates, place your house on the market, pay closing costs and then fund a move. The cost of moving even a short distance can climb quickly — north of $10,000 — if you’re hiring full-service movers, and it can still reach above $1,000 for just a moving van rental. Especially if you’re expecting a modest net profit on your house, the additional cost to relocate may not be worth it. Renovations build more equity. If you’ve only been in your house a few years and you have a mortgage, your equity in the house may be minimal. As a result, you wouldn’t net much profit from the sale of your house. Instead, you have the opportunity to strategically improve your home with projects that can grow its value. A new roof, a master suite addition or a kitchen renovation can all be key changes that will make your house more desirable down the line. But be careful not to overimprove. A swimming pool in a neighborhood where no other houses have one doesn’t add much value, for example. You have the opportunity to customize your living situation. Building your own custom house isn’t always within your budget, but renovating your existing home to better meet your needs and daily habits may be doable. You may want an open floor plan between the kitchen and family room to make it easier for the family to hang out, for example. Or if you’re retired, your renovations may focus on updates that help you age in place so you can stay in your home longer. You can attempt to save on the cost of labor with a do-it-yourself project. But consider your skill set before you try to rehab a bathroom by yourself. A botched DIY job can create a bigger and more costly project when you do have to call in a pro.